If you're taking Vitamin D, it is critical that you consider Vitamin K2 supplementation. Vitamin D and K2 work with one another to maintain tight control over calcium levels in the body. Vitamin D controls the absorption of calcium into the blood. Vitamin K2 controls where that calcium ends up. Over-supplementation of vitamin D3 without ample vitamin K2, leads to problems of excess calcium. If calcium isn't laid into bone, it will find itself in other tissues, like your arteries. Calcium in the arteries is BAD. It contributes to atherosclerosis and vessel stiffness. Cardiovascular disease just happens to be the leading cause of death. You can eat a healthy diet, exercise, not smoke, and drink moderately - and still suffer from cardiovascular disease if calcium builds up in your arteries. Before you run and throw out your D3 supplements, remember that most Americans have suboptimal levels of vitamin D3 in the first place and could benefit from more sun and vitamin D3. 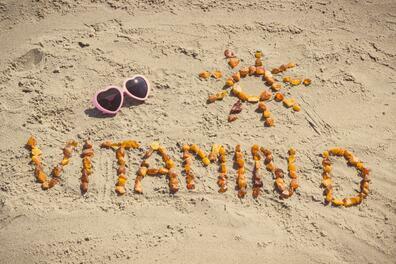 We jumped on vitamin D as a "supervitamin" for good reason. Many now supplement with D3 freely looking for the benefits. While D3 has amazing benefits to consider for your health, it is CRITICAL to consider K2 with any D3 supplement plan. I'm going to explain why, review some scenarios, and give you general guidelines on how much to take for each scenario. 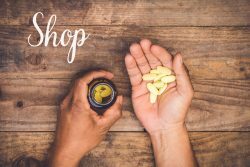 As always, these are powerful supplement strategies and this is intended as an educational exercise. You need to make decisions in the context of your own health circumstances & with the guidance of a professional. -Vitamin D is stored in the liver as 25-hydroxy vitamin D (25-OH vitamin D; calcidiol). This is what doctors are measuring when you have your D3 levels checked. -Vitamin D is "activated" by the kidneys to 1,25 hydroxy vitamin D (1,25 OH vitamin D; calcitriol). This is the active form of vitamin D that's responsible for its biological activitiies. To avoid confusion, instead of abbreviating the terms, I'll include them all each time one is mentioned. The "normal", medical range of 25-OH vitamin D (inactive storage form; calcidiol) is 20 ng/mL to 100ng/mL. This range is rather wide. For years, vitamin D status was thought to only be important for bone health. 20ng/mL is what's necessary to keep yourself from soft, weak bones. Intake of 800IU/day is generally the minimum needed to support bone health. Vitamin D has many more benefits than just bone health. You'll need higher intake levels of D3 to experience the full range of benefits. As intake levels rise, it becomes increasingly important to consider vitamin K2 as part of your supplementation! Vitamin D is a powerful hormone & does much more than support bone health. It helps keep your immune system strong and balanced. It has anti-inflammatory properties, promotes intestinal integrity, and has been correlated with decreased risk for a number of cancer types. To get more of these whole body benefits beyond bone health, natural health experts recommend vitamin D levels (25-OH vitamin D; calcidiol; storage) closer to the range of 40-80 ng/mL, with 50-70ng/mL being an even more optimal sweet spot. I live in Arizona and get sun exposure just about every day by sitting out by the pool for 20 minutes a day, hiking, bike-riding, and more. I supplement on the days I'm not out in the sun, and my levels still measured at just 30 ng/mL recently! You just don't know until you have your levels measured. Vitamin K is a fat-soluble vitamin that is known to be involved in blood clotting, and to have importance for bone health. Vitamin K has a range of structures with "K1; phylloquinone" and "K2; menaquinone" being the first major difference. Vitamin K1 is used by the liver to help with blood clotting. Vitamin K2 works outside of the liver and is more of the focus of this discussion. Most people think of vitamin K2 has a bone supplement. K2 can be safe while taking blood thinners (K1 is more of the direct concern), but you must check your PT/INR measurements with your doctor routinely. Like Vitamin D3, vitamin K2 also has whole-body benefits beyond bone health. To see these benefits, you're going to generally need more dosage up to as much as 320mcg/day. For a more complete discussion, see a number of articles I've written on Vitamin K2 benefits. Admittedly, there is not a great direct measurement of vitamin K2 in the body. Vitamin K is carried around by lipoproteins in the blood and the actual amount of K2 measured in the blood does not necessarily reflect your vitamin K2 storage. Since it's difficult to measure K2 directly, you use a substitute marker that can indirectly reflect your status. I like using the marker of "active" vitamin D3 measured as 1,25 OH Vitamin D (calcitriol). The vitamin D number you're used to seeing is the storage form of vitamin D3 known as 25-OH vitamin D (calcidiol). This is how much vitamin D is available to the body. 25-OH vitamin D (calcidiol; storage) still needs to be activated by the kidneys to 1,25 OH vitamin D (calcitriol; active D3) to provide vitamin D functions in the body. Vitamin D controls how much calcium is available in the blood only when in is in the 1,25-OH vitamin D (active; calcitriol) form. 1,25 OH vitamin D (active; calcitriol) levels change based on the body's need for calcium. Once activated and released in the body, it can stay in the system for as long as 24 hours before it's fully metabolized. This means that you can have extended period of excess calcium in the blood. When calcium is in excess, the body finds unhealthy ways to get it out of the blood. Note: It is common for elevations of 1,25 OH vitamin D (active; calcitriol) to appear during growth phases (ages <16) or bone repair. Be careful to not chase markers when they can explained by other factors! Once calcium is absorbed or released in the blood, it still needs to be told where to go! That is why vitamin K2 status is crucial to healthy calcium balance in the body. Vitamin K2 is arguably a leading anti-aging vitamin. 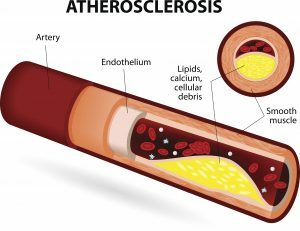 Atherosclerosis and vessel stiffness are made worse by excess calcium. Cardiovascular disease, characterized by atherosclerosis and vessel stiffness, is the number one cause of death. Vitamin K2 is being evaluated as a means to reduce risk. Your body has vitamin K2-dependent proteins that control the flow of calcium in tissues. If you have consistently high 1,25 OH vitamin D (active; calcitriol), this acts to release more calcium into the blood stream. If you do not vitamin K2 available to activate vitamin K2-dependent proteins, calcium builds up. As the body wants to keep calcium levels very stable, the extra calcium eventually finds storage where you do not want it! Vitamin K2 is the signal that makes sure the calcium is laid into the bone. K2 also activates a protein that takes calcium out of the arteries. To control calcium balance (as well as bone and cardiovascular health), you must have sufficient vitamin K2 to activate the relevant vitamin K2-dependent proteins! Benefits of Vitamin K2 include improved brain health, energy production, oxidative stress & metabolism, as well as risk of cardiovascular disease, kidney stones, and cancer development. If you do NOT have ample vitamin K2 levels, you will not be able to mineralize that calcium back into bone. When your active vitamin D level is high, you are prone to high levels of blood calcium. Now, the calcium is more likely to end up where you DON'T want it to go (like the arteries, kidneys, and soft tissues). The K2 is also less available to scavenge for free radicals, produce energy, and promote blood sugar and brain health. Vitamin K2 status depends on your intake. Vitamin K2 is not widely available in foods. It is high in some fermented cheeses and a fermented soybean product known as Natto. Vitamin K1 is available in diets and high in dark, leafy greens. The body will turn some K1 into K2, but it wants to use K1 foremost to promote clotting in the liver. Due to low intakes of K2 in Western diets, many have turned to vitamin K2 supplementation to assure healthy levels in their body. Which is Better, Vitamin K2-4 or K2-7? K2 is available supplementally as Vitamin K2-4 and Vitamin K2-7. The "4" and "7" refer to the length of the vitamin K structure. The chemical name of vitamin K2 is known as "menaquinone". It is available in supplements as "menaquinone-4; mk-4" or "menaquinone-7; mk-7". K2-4 is only available as a synthetic supplement and metabolized quickly by the body. The longer K2-7 is non-synthetic & stays in your blood for 24-72 hours. K2-7 can be taken once daily to maintain K2 levels, whereas K2-4 is taken a few times per day. K2-4 may also run into problems of purity, and may contain trace amounts of unknown chemical compounds. Because K2-4 is used up more quickly by the body, it is less available to serve vitamin K needs across the entire body for the full day. For these reasons, I use K2-7 for supplementation. Vitamin K2-7 (menaquinone K2-7) stays in your blood longer and is more readily available to activate your K2-dependent proteins throughout the whole day. It's less likely to be grabbed up by the liver and used for other purposes too. K2 and D3 supplements exist together, but I like to take them separately as needs for either K2 or D3 will vary per person. Research shows that benefits of K2-7 increase along with the dose up to about 320mcg/day. Levels above 320mcg/day are not necessarily harmful - but excess can be a waste of money and potentially drive new imbalances. If you're looking for a baseline recommendation for D3 and K2 supplementation. 2000-5000IU of D3 ("cholecalciferol) and up to 320mcg/day of vitamin K2-7 (found in Megaquinone K2-7) are popular and safe ways to go as long as you're periodically checking at least your 25-OH vitamin D levels (storage; calcidiol). 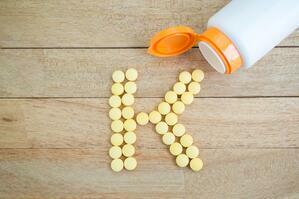 Are You Taking Enough Vitamin K2 for Optimal Benefit? How can you tell if your K2 is low? If you take Vitamin D, I believe that you should take Vitamin K2 along side it. Foremost, I generally recommend taking 320mcg per day of vitamin K2 in the form menaquinone K2-7 to support everyday wellness. The "scenarios" below address circumstances when you should take more, or get away with taking less of both vitamins. Scenarios #1-2 focus on D3 need. Scenarios #3-5 focus on increasing K2 need (D3 may still benefit from higher intakes too to optimize levels). **Scenario #3 is the "ideal" scenario that lets you know if you might decrease your D3 and/or K2 intake (or maintain current supplement support level). Scenario #6 are examples when you might decrease D3 intake and/or strongly emphasize K2 intake. It also may mean seeking professional guidance to rule out red flags. If I am going to be taking a supplement on an on-going basis, I want to know why its important to invest the time and money in the first place. Secondly, I want to know if I'm getting enough. Since "active" 1,25 OH vitamin D (calcitriol) increases calcium in the blood, a HIGH level of the 1,25 OH vitamin D (active; calcitriol) marker is a general sign that the body is still looking for more calcium or calcium is not finding its way to where it needs to be. Both circumstances are K2-dependent for proper balance. Higher levels of 1,25 OH vitamin D (active; calcitriol) means that there is more calcium in the blood needing a place to go - which can signal a higher need for vitamin K2 to direct things appropriately. Remember, active 1,25 OH vitamin D (calcitriol) can remain in the system for ~24 hours after released. So, you'll want to make sure that K2 is available for 24 hours too. While high 1,25 OH vitamin D can be a sign of parathryoid disease or other health issues that need to be ruled out, you can use 1,25 OH vitamin D (active; calcitriol) to give you an indirect idea of how well you are maintaining calcium balance in the body. Check the scenarios below to see if you might benefit from more D3 and/or K2-7. The higher the 1,25 OH vitamin D (active; calcitriol), the more critical it is that you supply the body with vitamin K2. -Vitamin D3 supplement intake ranges from 400IU/day up to 10,000 IU/day (sometimes super-dosing is recommended in medical settings in the 25,000-50,000 IU ranges). -Check your levels roughly every 3 months until you are satisfied. Then, check status once or twice a year. -You may consume vitamin D3 from a number of sources as it is found in fatty fish like salmon, and it is commonly added to other supplements. Likewise, K2-7 can be consumed in some fermented cheeses and natto. Take those intakes into consideration. -Ideally, take Vitamin D in the D3 form (cholecalciferol). The D2 form (ergocalciferol) needs to be converted to vitamin D3 by the body (and the conversion is inefficient). D2 is the form you will likely find in "prescription" forms of D3. -Some professionals will recommend weekly 25,000-50,000 IU doses of D3. Vitamin D3 may be recommended even higher. Doses of D3 over a short-term may increase D3 stores in the liver enough to last you 1-3+ months. -Take vitamins K2-7 and D3 after fat-containing meal or snack. Vitamins D and K are fat-soluble vitamins and will be absorbed better when taken in this manner. It doesn't take much fat in a meal to optimize absorption. A small handful of nuts may be sufficient for example. 1.) Functionally low in vitamin D (<40ng/mL 25-OH vitamin D range). 2.) Normal 1,25 OH vitamin D (Optimally ~<45 pg/mL). When you vitamin D status is on the lower end of normal (or medically low below 20 ng/mL) your body can sense that you need more calcium. It is best to optimize your stores of D3 up to and above 40ng/mL. Many individuals still do not meet the medical low standard of 20ng/mL of 25-OH vitamin D (storage; calcidiol). This level can be improved by D3 supplementation, sunlight, and a little from food sources. Generally, I stick to 5000 IU until 25-OH vitamin D (calcidiol) levels are within the optimal 50-70ng/mL. At that point, I will reduce intake closer to 2,000 IU/day and monitor from there. I only use 10,000 IU when 25-OH vitamin D (calcidiol) levels are significantly low (<25 ng/mL) or the levels do not seem to be responding to lower intakes. Some individuals (like myself) carry genetic markers in the vitamin D receptor that reduce their ability to absorb and utilize D3. In this scenario, the focus is on increasing D3 intake until levels are at or above 40ng/mL. Vitamin D3 Supplementation: 2,000-10,000 IU. When the body senses that it needs more calcium. It sends out more signals to convert more 25-OH vitamin D (storage, calcidiol) into 1,25 OH vitamin D (active, calcitriol). When 1,25-OH vitamin D (active calcitriol) marker is high or high-normal, it's a sign that your body is requesting more calcium. Couple a high 1,25 OH vitamin D (active calcitriol) with a low 25-OH vitamin D (stored calcidiol) measurement, and it's a sign that you could benefit from more vitamin D3, calcium, and/or sunlight. I generally avoid calcium supplements unless a client has clinical osteoporosis, or a 1,25 OH vitamin D (active, calcitriol) measurement >80 pg/mL coupled with low vitamin D stores (<40ng/mL 25-OH vitamin D, calcidiol). High intake of magnesium may also call for some calcium supplementation as higher magnesium intakes will drive down calcium absorption (generally 800mg of magnesium, 200-400mg of calcium citrate or otherwise). If I'm supplementing for calcium, I generally switch the intake levels to 800mg of calcium and 400 mg of magnesium. Check with your doctor as to what's right for you. In this scenario, the high 1,25 OH may be a reflection of low D3 status in the first place and the body is working harder to make sure it has enough calcium available to the body. The focus is still on D3 intake and a wellness intake of K2. Vitamin D3 Supplementation: 2000-10,000 IU/day to maintain/optimize levels as needed. Vitamin K2-7 Supplementation: 45-320mcg/day, still a wellness range, but a stronger recommendation to include it with your D3 supplementation. Scenario #3 is the "ideal" scenario. Scenarios #3-5 are similar in that 1,25 OH vitamin D levels can be in the middle, optimal range and start to elevate closer to the high-end of the range. As 1,25 OH vitamin D elevates, the recommendation to maintain a wellness intake of K2 increases. As 25-OH vitamin D levels elevate beyond 40ng/mL, your K2 status becomes much more important. In this scenario, your calcium balance appears normal, so you would maintain your regular, wellness K2 intake. D3 levels (25-OH vitamin D) as high as 80 ng/mL are associated with more benefits for immunity, inflammation, metabolism, and gut health in proportion to the increases. So it can still be beneficial to continue taking D3 to maintain and optimize your stores. In this scenario, your D3 levels are healthy, it is just about getting more optimal benefit from D3. Research shows benefits up to 80ng/mL and beyond. When you exceed storage of 40ng/mL, K2 intake becomes more essential, so it follows a firmer recommendation to take K2 on a wellness basis. Vitamin K2-7 Supplementation: 100-320mcg/mL, a slightly higher range to promote more activation of K2-dependent proteins. Benefits start at 45mcg, but are more optimal as you exceed 100mcg. 320mcg optimizes activation of most K2-dependent proteins. Without enough K2, you can be prone to calcium excess and essentially cancel out the added benefits of higher D3 levels! In this scenario, you have ample levels of stored D3, but your body is beginning to ask for more vitamin K2. This is an early functional sign, and not a signal that something is wrong by any means. It is the first inkling of a sign that K2 intake is becoming more important. This is similar to Scenario #3 but just that your 1,25 OH vitamin D (active; calcitriol) is starting to trend to a higher end of normal. Vitamin D3 Supplementation: maintain or increase regular intake to maintain 25-OH vitamin D levels at 40-80ng/mL. If you're levels of active 1,25 OH vitamin D are greater >65 ng/mL, it is recommended to take a higher wellness level of vitamin K2-intake closer to the range of 160mcg-320mcg/day. When both the storage and active D3 values are in these upper ranges, it's important to rule out inflammatory disorders or other causes, not exclusive to over-supplementation of D3 and/or calcium. There can be medical reasons for high values. My intent is to educate you on functional ranges, not the medical/clinical scenarios. Work with a professional to assure yourself that all is well. In both instances, I would still emphasize K2-7 intake at the 320mcg/day, and sometimes higher if the 1,25 OH vitamin D (active, calcitriol) levels are not responding. Excess calcium is a problem not to be ignored. When either 25-oH or 1,25OH are above the clinical ranges, seek out professional screening and investigation. Remember, context is always key. Vitamin K2-7 Supplementation: 320mcg/day when both 25- OH vitamin D (calcidiol) and/or 1,25 OH vitamin D (active, calcitriol) are elevated. This discussion is intended for the educational purpose of demonstrating the inter-linkages between the functions of Vitamin D3 and K2-7. 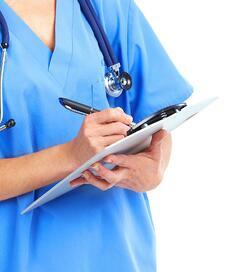 Consult with a professional when making sense of your blood work and other clinical decisions. Vitamin K2-7 is one of my top 10 most recommended supplements for good reason. Taking it with your D3 supplements is just one of the many benefits.